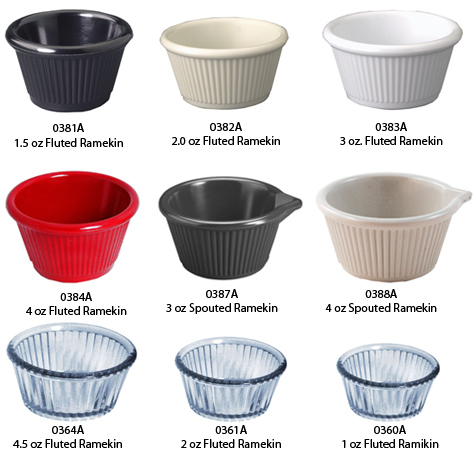 For more information on any of our Restaurant-Quality Plastic Ramekins, please contact us at 1-800-233-0828. You might also be interested in our Specialty Dinnerware (Platters, Plates, Bowls, etc. ), Tip Trays, Ashtrays, and Mexican Food Tableware.